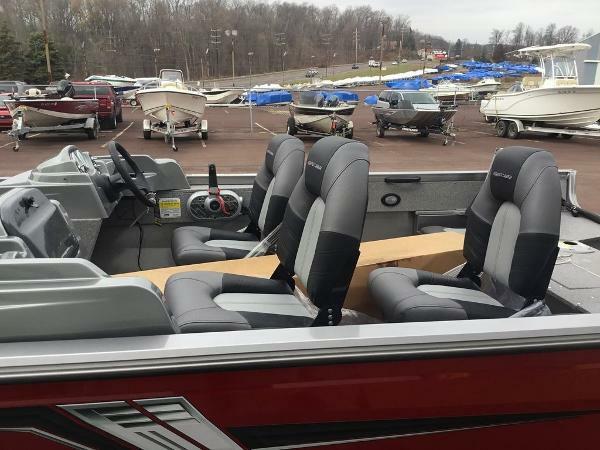 This boat is equipped with a Mercury 90hp 4-st. engine, Shorearmor single axle trailer, vinyl main floor, load guides, jump seat cushions, center rod tube storage, and more! 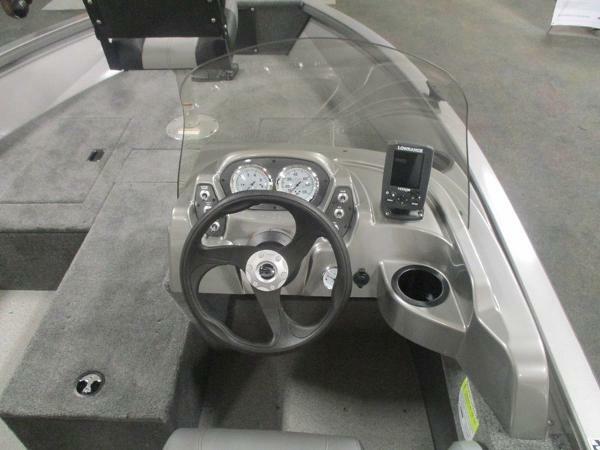 Color: Bright White/Bright White. 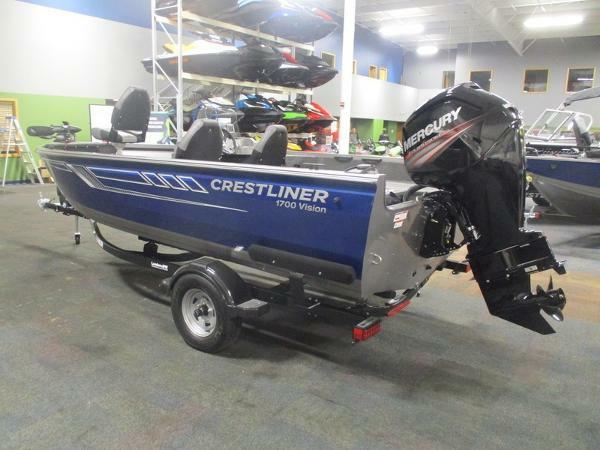 Crestliner 1700 VISION WT w/ 115HP! 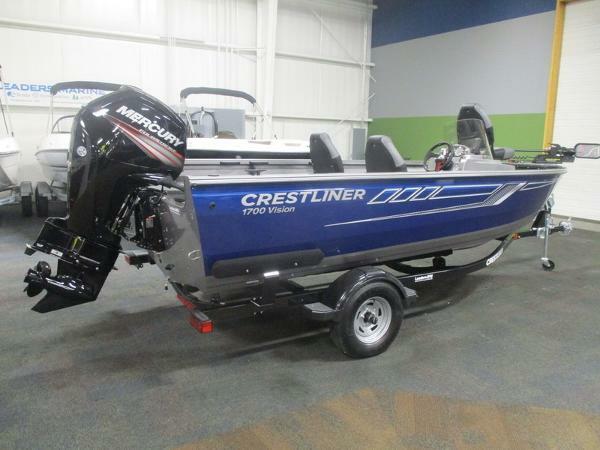 Elevate your angling game with the Crestliner 1700 Vision. 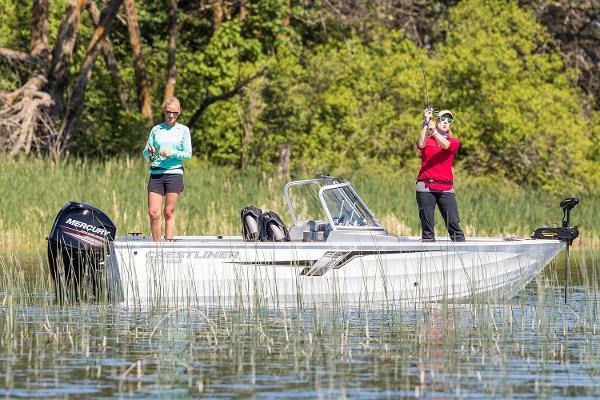 One of the best entry level fishing boats on the market, the 1700 Vision allows you to choose between multiple configurations so you can take your passion to the next level. 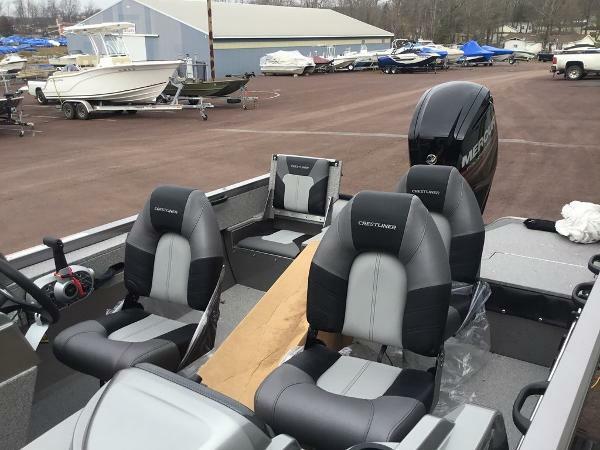 This boat features side or dual consoles, a walkthrough windshield, and a configurable console design with fishing-optimized features so you can craft your dream fishing experience, and then live it whenever you want. 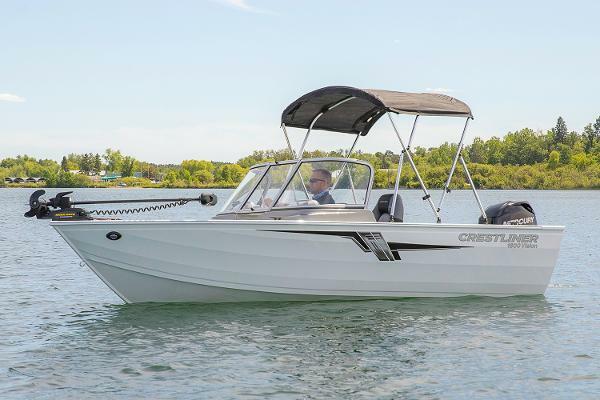 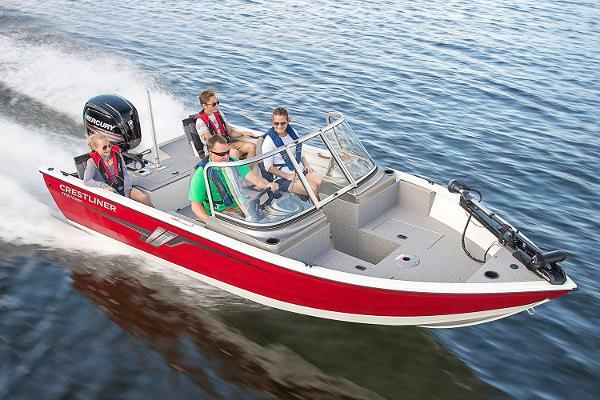 The Crestliner 1700 Vision comes with a spacious bow casting deck, tons of storage and livewells and the all-welded aluminum hull that makes Crestliner’s 1700 Vision one of the most durable boats to take to the water. 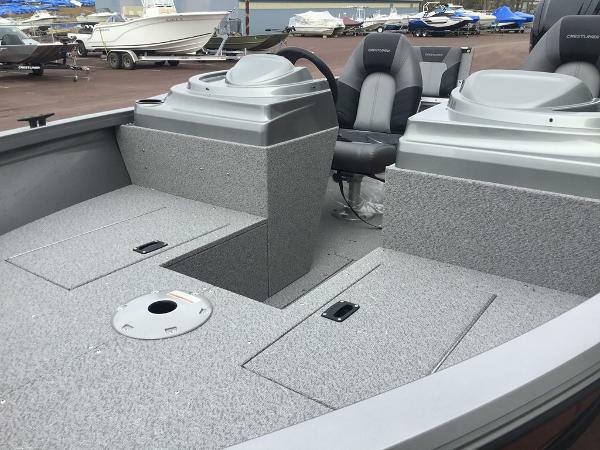 The open bow design gives you multiple places to cast from, including a spacious stern casting platform.